The Gigaset AS300 comes with hands-free functionality and all the essential features in cordless communication. Enjoy brilliant HSP™ sound quality on the Gigaset AS300, even when using the flexible hands-free talking option. With its long talk time of up to 20 hours and standby time of up to 220 hours, you can enjoy calls for as long as you want, whenever you want. Thanks to energy-saving ECO DECT, you save energy and money with the Gigaset AS300. An array of user friendly-features on Gigaset AS300 keeps calling simple. The menu is especially easy-to-read thanks to the illuminated display. You’ll enjoy dialling quickly and comfortably on the Gigaset AS300 illuminated high-quality keypad. 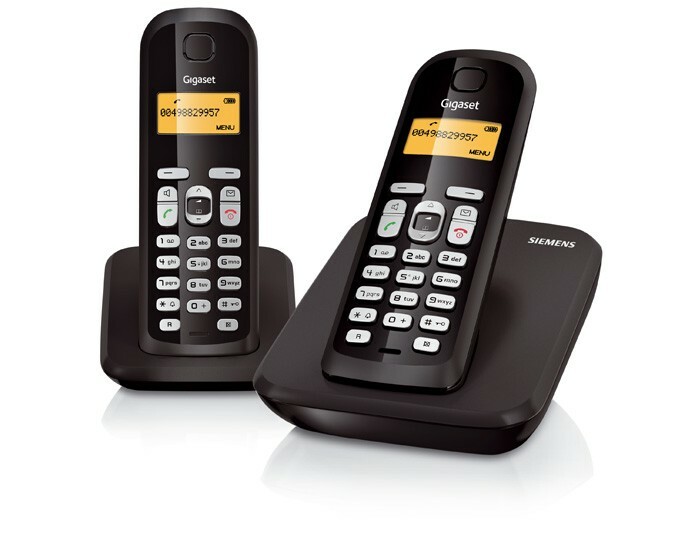 Easy-to-use all around, the Gigaset AS300 is your choice for comfort. The energy-saving power supply of the Gigaset AS300 consumes less electricity, so it’s kinder to the environment, and kinder to your wallet. Like all Gigaset cordless phones, it variably reduces the transmitting power from the handset to base station depending on their distance apart. You can also reduce the transmitting power of the Gigaset AS300 base station by 80% simply by selecting the ECO Mode. Furthermore, radiation-free ECO Mode Plus turns off the transmitting power when the phone is in standby.